If you live in a major city, then you know that renting a nice apartment may cost you all of your money and the lint in your pocket, too. Well, one man out of Silicon Valley, California, refused to pay the outrageous prices for a two bedroom in his area, so he actually rented a one-bedroom apartment with a friend and converted it into a two bedroom himself. A little part of you may argue that’s ghetto… but another part of you can’t wait to do it to your next apartment. The renter, who goes by the alias Hypurban on YouTube, began the process by measuring out the room he wants to convert. He measured the room from floor to ceiling and wall-to-wall, taking into account the position of windows and power outlets. Once he had the measurements, he made a run to the nearest home improvement store and the fun begins. The Californian had a short list of supplies that includes 2x4s for the frame of the walls, Simpson strong tie assembly brackets, a full doorknob assembly kit, foam/leather straps, Styrofoam wall sheets and a pre-hung door with no frills. 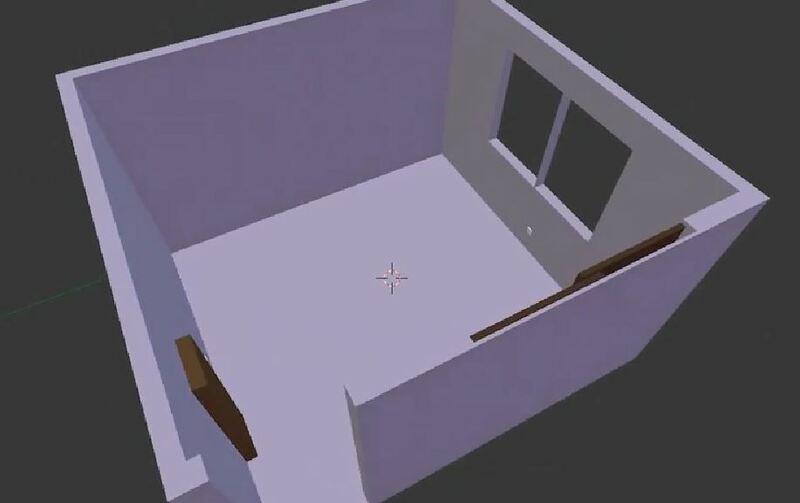 He made a spreadsheet that includes both measurements and the cost of the supplies and enters it all onto Blender to create a 3D blueprint of the room before he gets to work. Blender is a 3D modeling software package geared towards video games or basic 3D modeling. (You know, simple CAD work). 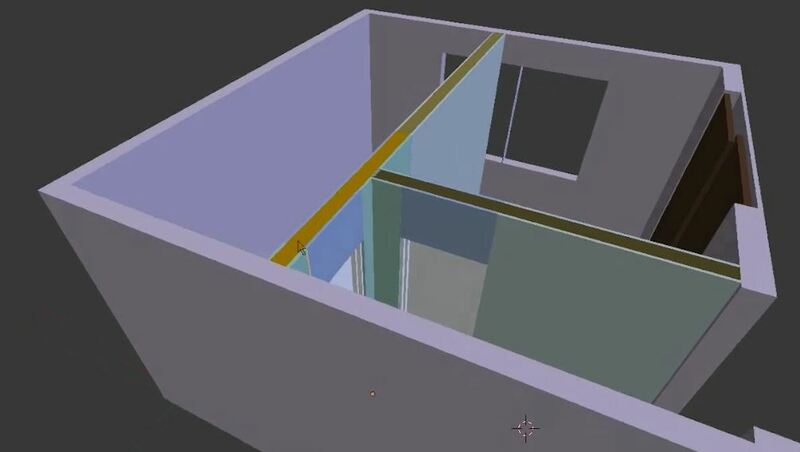 With zero knowledge of CAD, Hypurban used Blender to essentially do CAD. In this case, he was able to grab all the dimensions and how to cut said pieces in order to achieve his makeshift masterpiece. You CAD drafters out there, you should be able to whip these level conversions out in no time. Once the frame was complete, Hypurban wraps all of the edges with the foam straps to ensure it never touches/damages the original room. When the guys move out, they need only take the frame with them and pretend it never happened. Now, two bedrooms! Sort of like dorm living… I could handle it. So, next time you’re thinking about renting that fancy two-bedroom, ask yourself, “Could I rent a one-bedroom instead, convert it myself for $300 and use the money I save for a relaxing vacation to Fiji?” Well, here’s to dreaming.